5 Facts to Know about Colorado Bankruptcy Exemptions (Pt. 2) - Castle Rock Bankruptcy Attorney - Jon B. Clarke, P.C. Continuing from 5 Facts to Know about Colorado Bankruptcy Exemptions (Pt. 1), here are some more crucial things that people should know when it comes to taking advantage of bankruptcy exemptions in order to protect as much of their assets as possible. Fact 3: Jointly filing for bankruptcy can double some Colorado bankruptcy exemptions. While these facts about Colorado bankruptcy exemptions are informative, make sure you are benefiting fully from these exemptions by working with Jon B. Clarke. $20,000 in equity in their vehicles if they are disabled, they are elderly and/or they have a spouse/dependent who is disabled or older than 60 years old. There are a number of other exemptions that may be able to be doubled for couples filing jointly; therefore, it’s crucial that such couples work closely with an experienced bankruptcy attorney to ensure they are benefiting from the maximum possible exemptions for which they qualify. Fact 4: Intangible assets can also be protected by Colorado bankruptcy exemptions. Insurance benefits, as well as pension and retirement benefits, are also exempt up to specific values (with the nature of these benefits stipulating the maximum possible exemptions for them). Fact 5: You will have the best chances of fully benefiting from Colorado bankruptcy exemptions when you work with Attorney Jon B. Clarke. 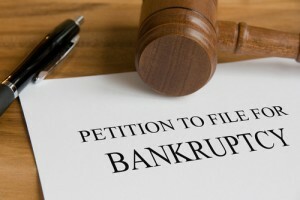 The bottom line is that the rules regarding Colorado bankruptcy exemptions can be detailed and complicated, and they may be updated at any point. In order to ensure that you are fully taking advantage of the possible protections offered by these bankruptcy exemptions, it’s critical that you work with a trusted bankruptcy attorney like Jon B. Clarke.